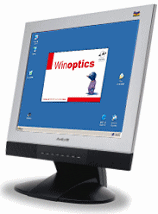 Click here to download WinOptics for free ! Try WinOptics today for free. Take a couple of minutes to discover how easily and effectively WinOptics will help you manage the data and operations of your store. Is your current software outdated ? Incomplete ? Too expensive ? Switch to WinOptics and keep your existing data ! Keep your software of WinOptics current : download the latest update for free and enjoy the most recent features.